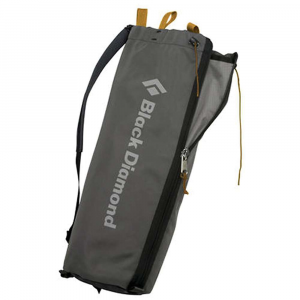 Black Diamond Super Chute Rope Bag - The Super Chute Rope Bag by Black Diamond takes a traditional roll-loading rope bag design and adds an innovative funnel-shaped rope tarp for super-easy loading. 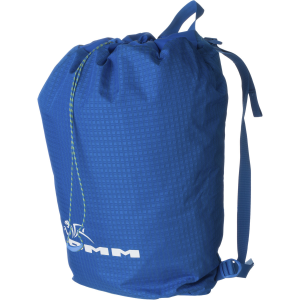 Made of a packable 400D nylon construction, this bag can hold up to an 80 meter rope. 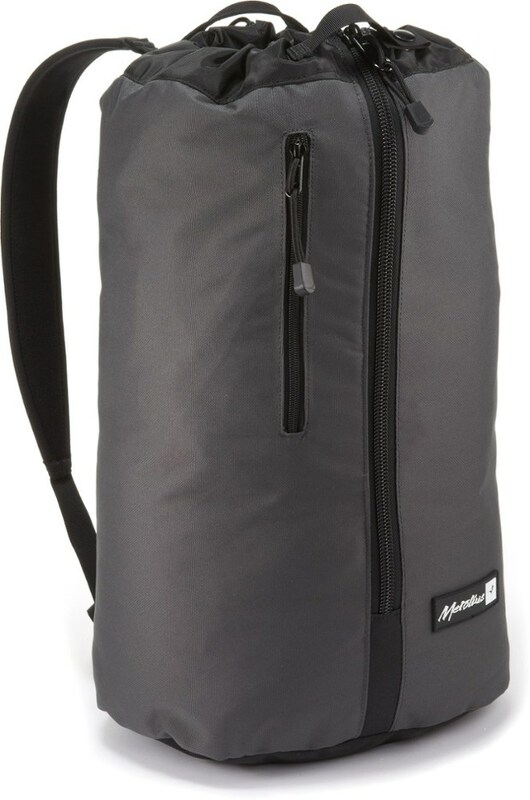 Barrel compression straps and a courier-style shoulder strap allow compact, comfortable carrying to and from the crag. 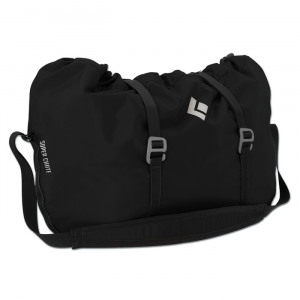 Protect your rope and stay organized with the Black Diamond Super Chute Rope Bag. 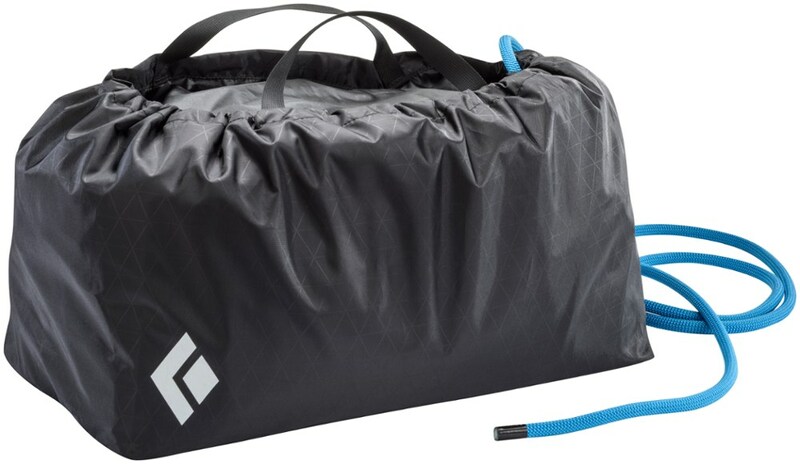 Taking a traditional rope bag design and adding an innovative funnel-shaped rope tarp for super-easy loading, the Black Diamond Super Chute combines simplicity with practicality. 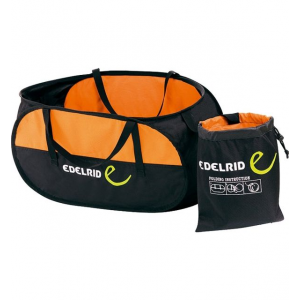 Barrel compression straps and a courier-style shoulder strap allow for compact, comfortable carrying to and from the crag with up to an 80 m rope, and two internal tie-in points expedite rope management. 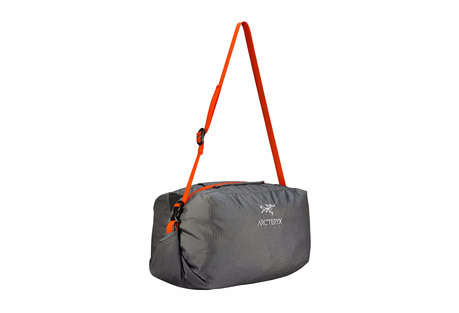 Black Diamond Climb Super Chute Rope Bag Adriatic BD359998ADRCALL1. Barrel compression straps and a courier-style shoulder strap allow for compact comfortable carrying to and from the crag with up to an 80-meter rope and two internal tie-in points expedite rope management. Thanks to its tough nylon construction and innovative funnel-shaped tarp, the Black Diamond Super Chute Rope Bag keeps cord-chewing dirt and grit from prematurely wearing out your life line.